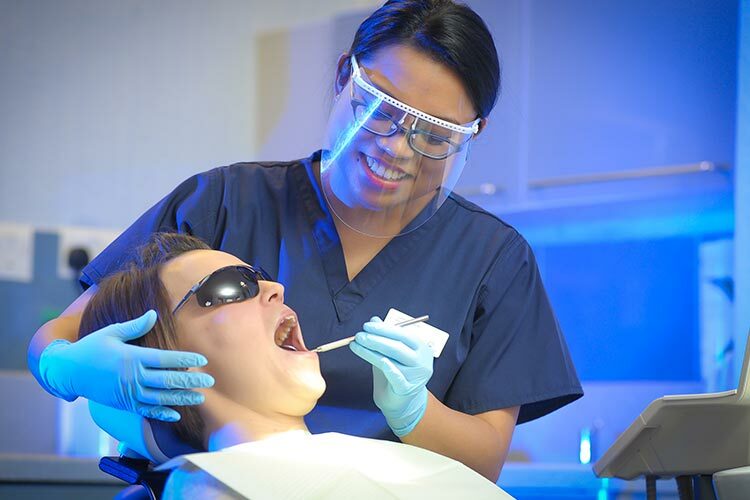 Providing a comprehensive range of quality dental care in Barrow-in-Furness. We cater for the whole family, including preventive, restorative, orthodontic, facial aesthetic and cosmetic dental treatments. 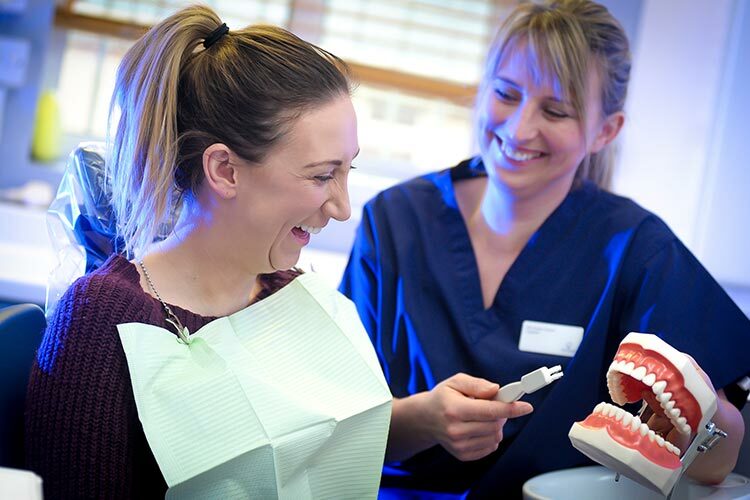 The clinical team of dentists, dental nurses and hygienists here at Teckkam Dental are highly-qualified and have a great deal of experience treating a wide range of dental issues. And we’re always updating our skills and knowledge with continuing professional development to stay ahead of new dental trends and innovations. We aim to combine the dependability of traditional dentistry with the possibilities offered by modern technology and research. Quick Straight Teeth Orthodontics, Airflow polishing, Facial Aesthetics and Venus Pearl Composite all give you a whole new world of options to choose from when considering your dental care. 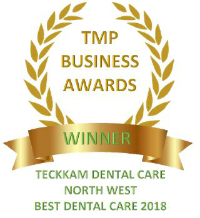 We are proud to have been awarded “Best Dental Care North West 2018” by the prestigious TMP business awards. All our staff are friendly and patient-focussed and our premises are modern, well-decorated and relaxing. 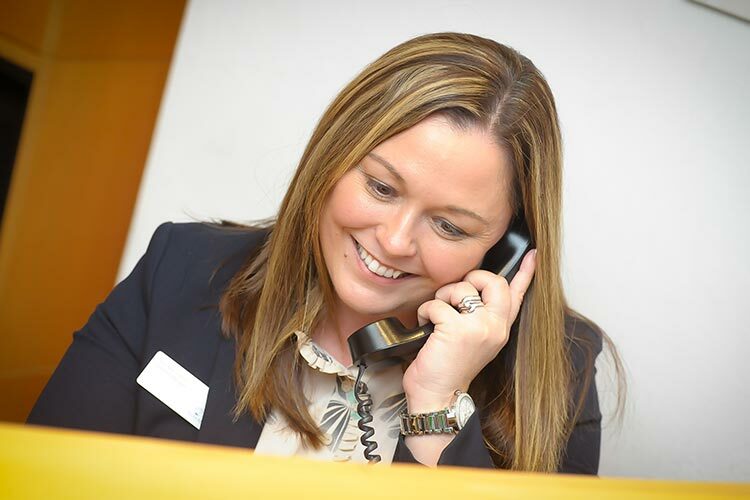 We do all we can to ensure you receive the best care possible and leave with a smile on your face. We are always looking at ways to make dental care more affordable, whether it be spreading costs out monthly with our 0% finance programme or our Denplan Care programme. We will ensure to find the right solution to fit your needs. Keep up to date with the latest testimonials and reviews from real patients below! Our friendly team offers general dental treatments for the whole family, from prevention through to dental emergencies. Cosmetic treatment options include white fillings, teeth whitening and orthodontics to give you the smile of your dreams. Our professional hygienists offer deep cleans, oral health advice and even the latest Airflow air polishing to remove stains.